Vicky Seff discovered yoga during the 1970’s watching Lilias Folan (although she was less than 10 years old). She started to seriously study yoga in 2003 after a back injury. After visiting orthopedic surgeons, chiropractors, and physical therapists, (who also told her she had scoliosis) she felt drawn again to yoga and wanted to understand the body in greater detail. She completed her RYT training in 2008. In 2010 she attended college with intentions on becoming a physical therapist assistant (but decided not to complete the course, but has applied her knowledge into her yoga classes), she was inducted into the Phi Theta Kappa honors society during her college studies. 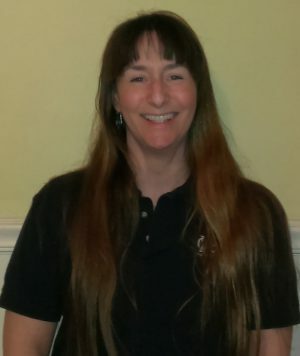 She also is a RCYT and loves to teach children of all ages, and is certified under Yoga Ed. Vicky is a Certified Iyengar Yoga Teacher (CIYT). She received her Yoga for Scoliosis certification from Elise Miller in 2013, and has worked with people in many types on venues. She offers workshops, group classes, and privates in the Long Island, NY area.